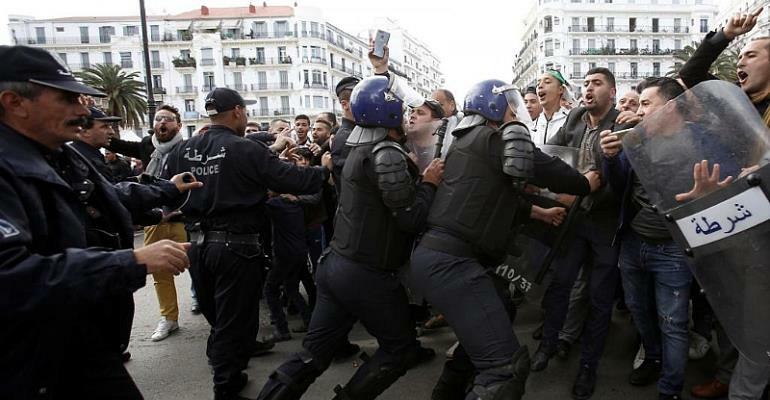 For the eighth Friday in a row, protesters across the Algerian capital took to the streets. Police failed on Friday to break up a wave of protesters marching through the streets of Algiers. They took to the streets despite the official resignation of former president Abdelaziz Bouteflika, and an announcement that the next round of presidential elections will ake place on July 4th this year. The interim government currently in power headed by Abdelkader Bensalah who is long seen as having deep connections with Bouteflika's regime. Since 2002, Bensalah has served as the head of the upper house of the Parliament and since 2010 stepped in to perform public ceremonial functions to replace Bouteflika. The majority of the protesters still see their demands as having been unfulfilled since Bensalah has such long ties with the former president. But on Wednesday, Bensalah pledged to hold “transparent” polls in July. Bensalah himself is not allowed to run in these elections, but protesters still want to see him gone. They argue the polls cannot be free and fair if they are held under the same legal framework and institutions as those still belonging to the Bouteflika era. In response to the disappointment, protesters have been coming out and in particular on Friday, but unlike previous weeks, police vehicles tried block off access to the main protest area to the post office. In addition to on-going protests, candidates do not appear to be rushing to take part in the upcoming elections given Algerians have largely rejected the system that will hold them.